Many shops open later on Thursday evening. Full of life and vibrancy, Cork is a city that attracts flows of students every new school year, but it is also home to plenty of parks, museums, galleries and sights ready to please everyone. Outside the picturesque city centre, the surroundings are full of historical, natural and cultural sites as well. Cork City Gaol is a former prison turned into a museum where you can learn more about the local history and about the history of radios. At St Peter's, you can learn about the history of Ireland's second largest city. This arts & heritage centre is housed in a former 18th-century church right in the heart of the city. Set in the University College Cork campus and developed on three levels, the Glucksman Gallery hosts modern and contemporary Irish artworks, as well as temporary exhibitions. Events, workshops and courses are also frequently organised. The Crawford Art Gallery hosts Greek and Roman sculptures, a collection of paintings and sculptures from the 18th century onward and temporary exhibitions. Created by both Irish and international artists, the works you can see here are more than 2,000. This park plays host to Cork Museum, Riverview Café, a waterlily-bedecked pond, a variety of sculptures and even a skate park. Cross the "Shakey Bridge" (Daly’s Bridge) to Sunday’s Well and be sure to jump up and down to live the full experience. Located just 15 minutes outside Cork city, in the beautiful village of Midleton lies the Jameson distillery. Take a journey through history and see the old kilns, mills and malting, water wheel and old warehouses. Then, finish your tour by tasting some true Irish whiskey. 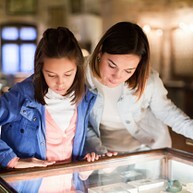 At this museum you can discover the history of butter making and trading in Ireland. Bishop Lucey Park is a public green area in Cork's city centre. Past the picturesque entrance archway, you will find part of the old city walls, some statues, a bronze fountain and plenty of spots to rest. 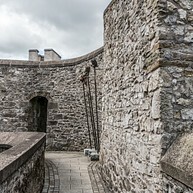 Elizabeth Fort was built in the late 16th Century and converted into a prison in 1835. A portion of the fort is open to the public, and commands fine views of the city from its walls. The Lavit Gallery regularly hosts exhibitions of artwork made by local and national artists. On its two floors you can find a variety of art, from paintings and sculptures to ceramic and glass works. 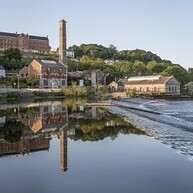 The multi award winning Lifetime Lab visitor centre, located in the tastefully restored Victorian waterworks on the Lee Road in Cork city, offers a unique way to learn about water and renewable energy. Red Abbey Tower was built in medieval times as part of an Augustinian abbey and it's its only remaining part. This National Monument is probably the oldest building of the city and a veritable landmark. 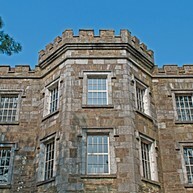 You'll find the UCC Visitor's Centre in the North Wing of Cork's university. Whether going to an Irish university is your dream or you're just curious to know more about this institution, this is the place to go. 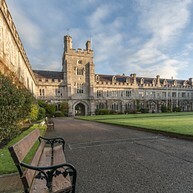 They also organise walking tours of the university and sell UCC merchandise. 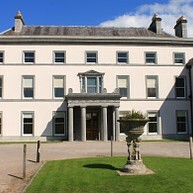 Fota House is a special place that offers visitors the chance to discover one of Ireland’s most interesting ‘big houses’. From the grand rooms with their exquisite plasterwork to the beautifully preserved service wing, charming nursery and delightful boudoir, Fota House gives visitors an intimate look at how life was lived in the past, whether as a servant or as a member of the gentry class. This monument commemorates the death of 1,198 people who were on board of the Cunard Liner Lusitania on 7th May 1915. The liner was sunk by a German submarine during the First World War. Spike Island occupies a key location in lower Cork Harbour. 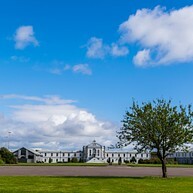 The multi-cultural island has hosted a monastery, a fortress and a prison within its 104 acres, all of which have left their mark. Not least among its treasures is the intact star shaped military fortress that dominates the only entrance to the harbour.